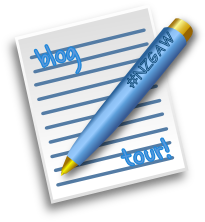 Hello and welcome to the #NZGAW Blog Tour in this election year. If you are reading this post, right at the beginning of the blog tour, you are very likely to be a committed supporter of gifted education. You may even be someone who considers yourself to be a gifted education advocate, but you may try to advocate quietly. Let’s talk about that. The parents of gifted children are likely to be articulate. The parents of gifted children are likely to be well informed. The parents of gifted children are likely to be capable of putting forward a good argument for their case. However, the parents of the gifted often learn early that their cause is not a popular one. Many respond by choosing their battles carefully and advocating quietly, by not being “that parent” – the rude and pushy one who they have often already been told they are. However, this begs a question: If politicians, policy makers, and decision makers at the school level are not listening to parents who advocate for gifted children, who are they listening to? Sadly, some groups of parents, advocating for significant educational needs of their own children, are less articulate, less well informed, and less able to put forward their arguments. My challenge to advocates for gifted education this Gifted Awareness Week (June 15-21) is to speak up loudly. Why? Because when you advocate for decision makers at any level of the education system to listen to parents, you are advocating for all parents to be listened to. While the parents of the gifted want some very specific things, like more challenging material for their children, listening must always be the first step. So please, this Gifted Awareness Week, be a noisy advocate. Be listened to. How can you make some noise? Blog for the blog tour. Attend one of the political panels on gifted education in Wellington or Auckland. Attend a local Gifted Awareness Week event. Ask a friend whether he or she has realised that his or her child is gifted. Form a local NZAGC branch if you don’t have one. Join if you do. It’s easier to make a noise together. Apply for a speaker from the giftEDnz Speaker’s Bureau to talk to professionals in your area. Give your child’s teacher a big thank you for catering to his or her needs as a gifted learner. Give your child’s teacher some handy web links for catering to the needs of gifted learners. Talk to your local REAP about hosting events for gifted children. Join a Facebook group on giftedness. So be a noisy advocate, and please don’t stop until someone new has listened to you. Image credits: Apple image CC-BY Muhammad Ali. Poppy image on e-card for teachers CC-BY Duncan. This entry was posted in advocacy, education, gifted, New Zealand, Uncategorized and tagged #nzgaw, blog tour, Gifted Awareness Week, gifted children, gifted education. Bookmark the permalink. Great – and challenging! – blogpost. I am one of these ‘quiet’ parents. Perhaps it is time to male a little more noise? Food for thought anyway! Greetings to you in NZ from Norway and good luck with the Blog Tour 2014!